Join or renew today as an Active, Support, Student or Retired member and secure immediate access to your premium membership benefits. Aim higher! View the current list of job opportunities or post a job. To keep up with your continuing competency requirements, check out our upcoming professional development opportunities. Read up on our latest peer-reviewed research journal, CJDH, or professional member magazine, Oh Canada! Find out about upcoming oral health events or post an event, celebrate the profession with NDHW™ or browse our latest news releases. Serving the profession since 1963, CDHA is the collective national voice of more than 29,549 dental hygienists working in Canada and we directly represent 19,000 individual members including dental hygienists and students. A position paper on silver diamine fluoride (SDF) is now available. Learn more about the short- and long-term effectiveness, safety, and acceptance of SDF therapy for children and adults with carious lesions and/or dentinal hypersensitivity. With the recent legalization of cannabis in Canada, many dental hygienists have been asking about the impact of cannabis on the dental hygiene process of care. CDHA has some great resources on the topic: Impaired in the chair pdf and Cannabis in Canada webinar. Share your stories and photos to win! Illustrate your passion and pride for the profession by sharing your purple-themed photos. Email marketing@cdha.ca by May 1. 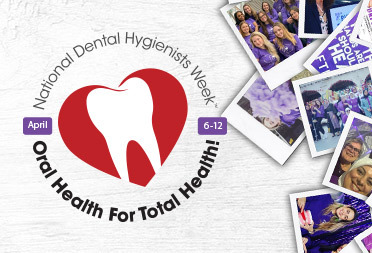 Another phenomenal National Dental Hygienists Week™ (NDHW™) has come and gone. With an overwhelming number of social media posts, purple-themed photos, website downloads, media coverage, and colouring contest entries; greetings from government officials; 21 landmarks lit purple across North America, as well as the Tornado Tower in Qatar (home of the Canadian Embassy), the week could not have been a bigger success! Between November 13 and December 17, 2018, CDHA conducted its first survey of members to determine the nature and scope of issues that either support or undermine healthy and respectful workplaces. In particular, we asked respondents to provide feedback on their experiences of harassment, bullying, and abuse in the workplace from four possible sources: dentists, office managers, co-workers, and clients. The highlights of the survey report are available here and will be used to develop CDHA member resources in the coming year. 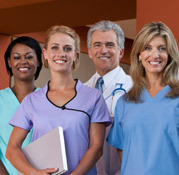 As a member of CDHA’s Independent Practice Network (IPN), you have complimentary access to an online community where you can connect, communicate, and collaborate with your peers. 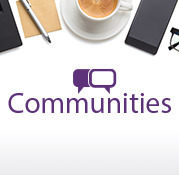 Browse and post content to the General and/or Marketplace communities from your desktop computer or through a new MemberCentric mobile app. For access and instructions, click here. Perk Up Your Savings This Spring! 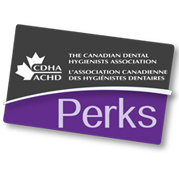 CDHA Perks, one of your exclusive membership benefits, brings together more than 500,000 discount offers from across North America. Did you know that more than 50% of retailers feature buy one, get one free offers? Search for deals on dining, family attractions, travel, services, and more and then print your savings selections or show your phone and save. April 12, 2019 - The Canadian Dental Hygienists Association (CDHA) is applauding a move by the Ontario government to expand dental care for low-income seniors in the province. The investment of $90 million will see new services provided as early as summer 2019. January 24, 2017 - Health Canada follows up with Canadians concerning the recent warning issued by the U.S. Food and Drug Administration (FDA) regarding possible safety issues involving homeopathic teething products in the United States.